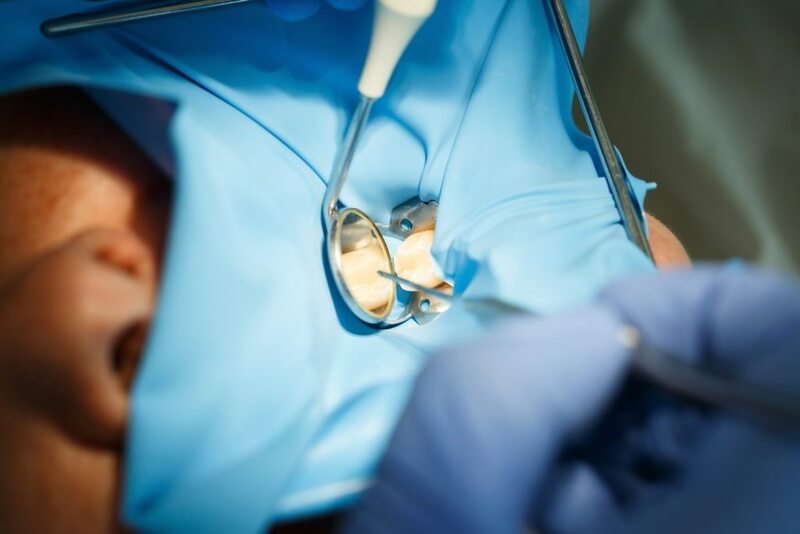 When you are comfortably reclined in the chair, you may not always be aware of what is going on during some of the dental procedures that you undergo. During dental procedures, Ross Quartano, DDS will take steps to ensure the areas he is working on remain as clean and free from tooth debris and excess moisture as is possible. The isolation of an area of concentration and humidity control of that area will be a task that Dr. Ross Quartano and his team will be focused on during the procedure. There are a number of tools that Dr. Quartano will use during procedures at Magnolia Dental, in Covington, LA, to achieve control of both the humidity and isolation of the area being treated. The very thin latex or silicone sheet, a dental dam is used with a plastic or metal frame and placed around the tooth or teeth being worked on. This allows for moisture control of the area as your dentist is working on it. In addition to helping with moisture control, the dental dam can also help to prevent the spread of infection. This is important in procedures like root canals, where the goal of the procedure is to remove infection and decay. There are a number of disposable dental products that can help Dr. Quartano to control moisture during dental procedures. Gauze, synthetic cotton rolls, and other similar moisture-wicking materials are used, along with flat wafers that are effective at absorbing saliva. Suction devices are also commonly used to both control moisture from saliva and to remove debris that may have been flushed during a procedure. Those little pieces can otherwise be swallowed or pose a problem during procedures like root canals. The types of suction devices used may vary based upon your specific procedures. The dentist and his assistant may flush the area to remove debris and blood, but will quickly use suction devices to ensure you don’t swallow anything unpleasant. The tools that Dr. Quartano uses during your dental procedure may vary based on your specific needs. From using isolation dental dams to allow him to focus on just one tooth during root canal therapy to using moisture-wicking gauze in a specific area, Dr. Quartano and his team at Magnolia Dental will do their part to ensure your dental procedures operate as smoothly as possible. If you have any questions about the isolation and humidity control methods that Ross Quartano, DDS and his team will be using during your procedure be sure to ask at your next appointment.